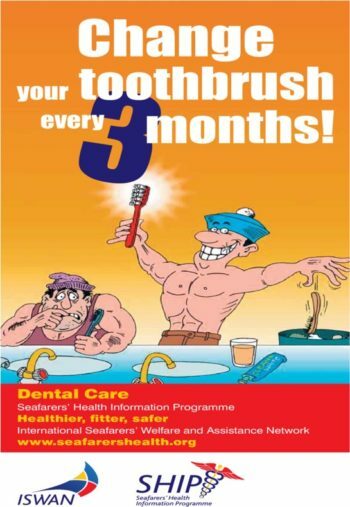 Toothache may range from a distressing inconvenience to intense, miserable pain. 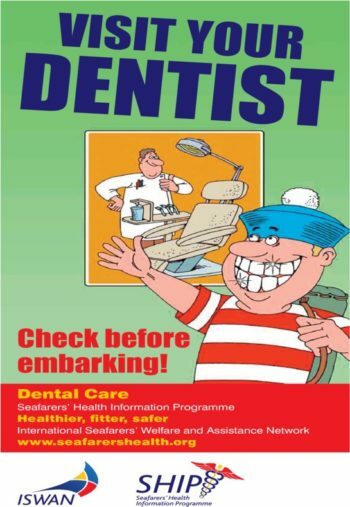 It may adversely affect a seafarer's performance, upset concentration and generally pose a real safety risk. 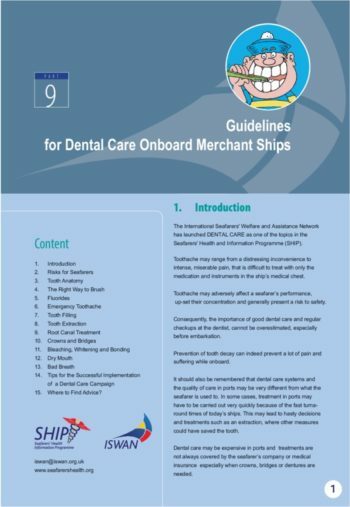 Toothache is difficult to treat with only the medication and instruments in the ship’s medical chest, and dental care systems and the quality of care in foreign ports can vary a lot from what a seafarer is used to. 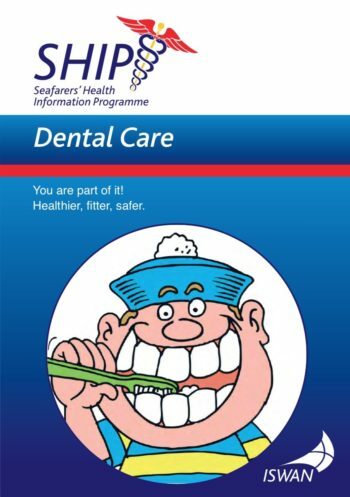 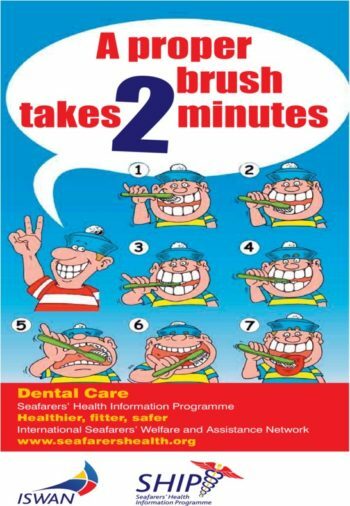 Our resources include a guide for seafarers, guidelines for shipping companies and a range of posters to encourage seafarers to maintain good dental care on board.